While Avengers: Age of Ultron is still rocking the box office, Marvel’s elder statesman and cameo king Stan Lee – who co-created Spider-man, The Hulk, Iron Man and The Avengers – has unveiled a plan to produce new superheroes with YouTube Spaces, the company’s studio program. The video service and Lee’s POW! Entertainment are running a series of events, starting this week, which will bring YouTube creators into facilities in Los Angeles, London, Tokyo, New York and São Paulo to develop new concepts. They’ll be able to use specially created sets, including a secret lair, a science lab and a weapons locker, to film their ideas as well as green screen stages to place their action in real world or fantastical locations. POW! will be making stunt coordinators, visual effects experts and costume designers available to work with the chosen YouTube creators, 12 of whom will receive a script consultation with Lee himself. The results of the YouTube World of Superheroes program will go live between mid-June and the end of July on individual channels as well as through Lee’s World of Heroes channel and the official YouTube Spaces account. 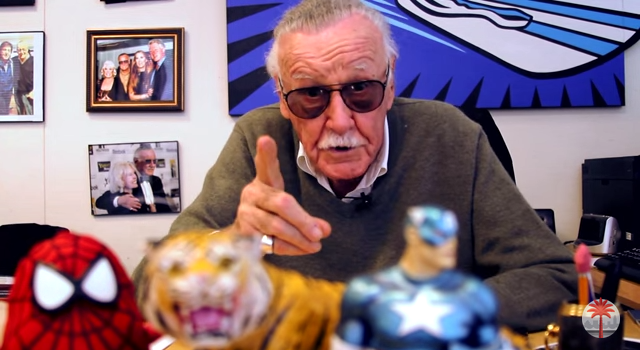 With the abiding popularity of comic book movies and TV shows as well as YouTube’s need to retain creators in the face of growing competition from rival sites, teaming up with Stan Lee makes a lot of sense. Excelsior!